thoughts & happenings: Fitzroy River, Rockhampton, Queensland. 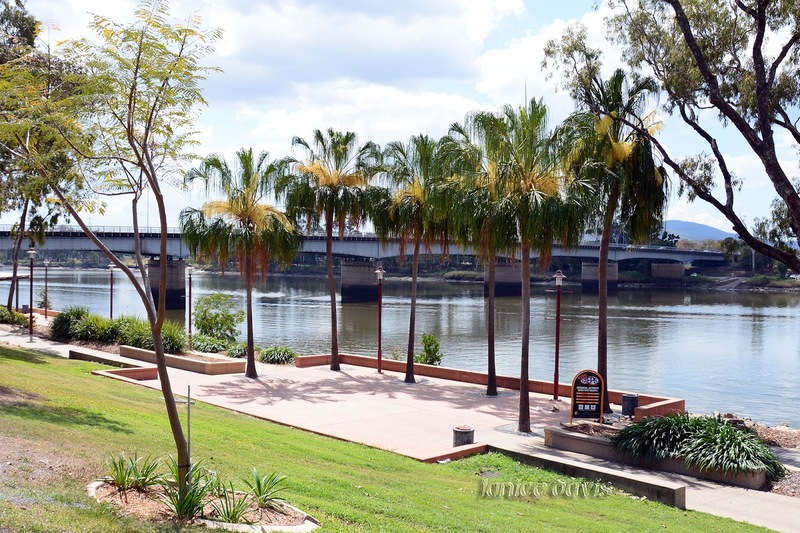 Quay Street in Rockhampton mostly follows the Fitzroy River, it's catchment covers an area of 142,665 square kilometers, making it the largest river catchment flowing to the eastern coast of Australia. The lower reaches of the river are home to salt water crocodiles. In 2003 a crocodile measuring more than 4 meters (13ft) long was captured. The most diverse range of freshwater fish in the country are found within the Fitzroy basin. Walking along Quay Street this is the view. The River has flooded many times over the years and below is the measure of the floods including the years. Wonderful scenery. I would love to try a dinner with local freshwater fish. That's true doing a lot of damage along the way though. Maravillosa la imagen de la segunda foto. Esta misma semana he hecho la foto de un cocodrilo, pero en un zoológico. Didn't see any crocodiles thanks goodness. Was peaceful the day we were there as no one was about. It is a nice view. Flood markers are always interesting to look at, and that one is pretty amazing. 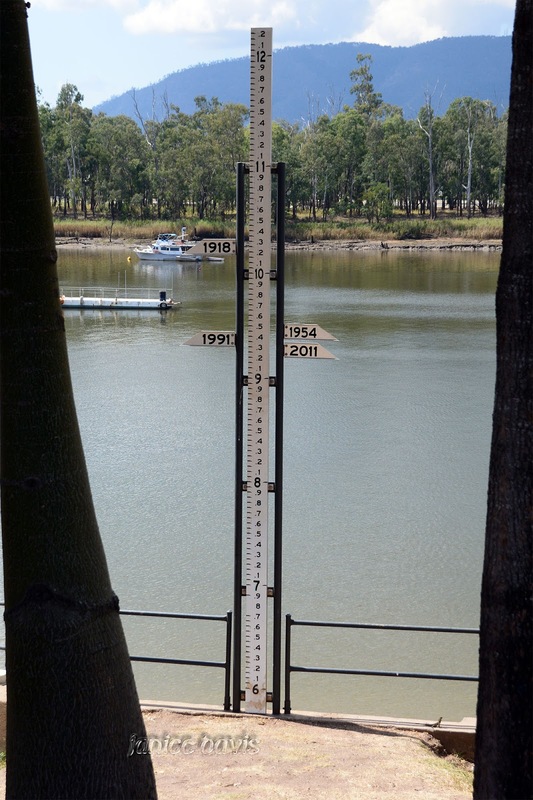 How much water in the 1918 flood did it take to rise water levels so high. Very high in 1918, let's hope it never gets that high again. As for the volume of water one could only estimate and have that done by the experts. I'm always a bit unnerved when I see flood markers--- silly. Excellent pictures as always. Well if it rains for days and days one would wonder is this it! It's a good thing those markers are there as it teaches and tells us just how high water will flow in a flood. Thanks G. It certainly is hard to believe how high the water will and did come to in the past. You want to live on high land if you choose the Fitzroy River area to live. Why councils still allow homes to built in flood areas is beyond comprehension. Good report on the Fitzroy river and what it is capable of! I love places where there are bodies of water. 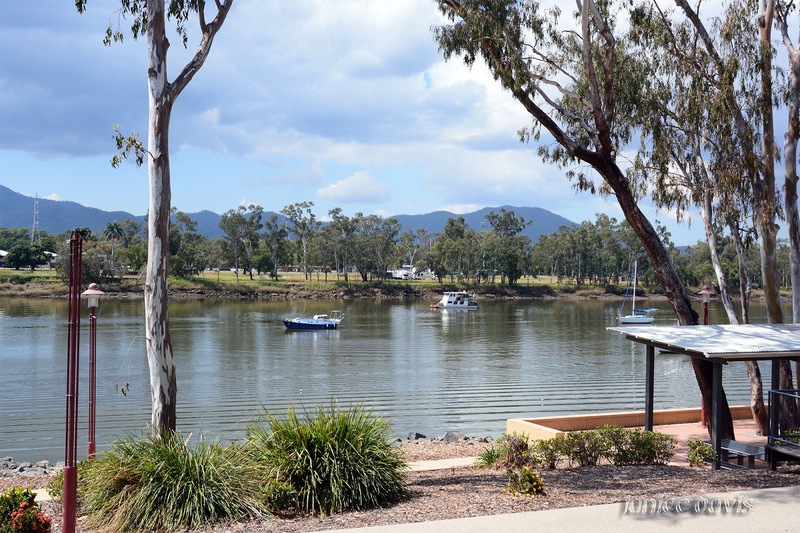 It seems I have to add Rockhampton to my list of places to visit. just not during cyclone season. Definitely not cyclone season but wonderful in a warm winter. Lovely photos. I can't get over the size of the catchment. It is humongous. Like Australia - it's big. Oh, our Mum and Nana talked of Dr. Talbot often...they had many good stories to tell about him, Margaret. 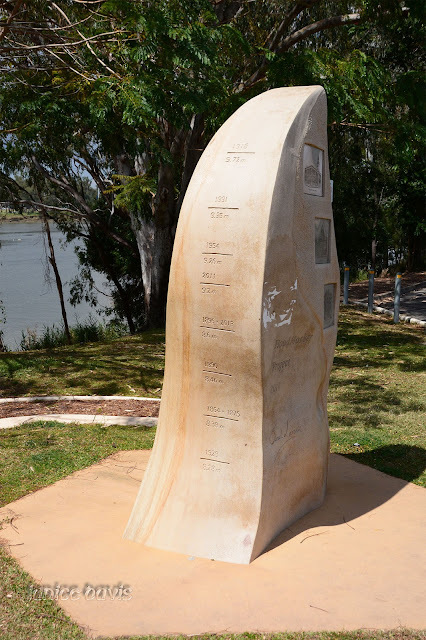 He was well loved and admired by the people of Rockhampton back in those days of so long ago. wow what marvelous place ! this street is magical with such charming views my friend!! !